Last spring quarter, I had the extraordinary pleasure of being taught by one of the most influential and inspirational professors at UCSB—Dr. Laura Kalman. Every lecture was replete with interesting insights, slides doused with pictures (often amusing ones), and occasional laughs. HIST 17C was a memorable class because not only was it my first class as a recently declared history major, but because Dr. Kalman made it all the more enjoyable with her eccentric personality, contagious smile, and evident passion for the subject. All her lectures ended with a question for us to ponder four hours after lecture. Last week, I sat down with Dr. Kalman to talk about her impressive educational journey. Her compelling story and advice further inspired me to continue my own academic pursuits. Dr. Laura Kalman was born and raised in Los Angeles by her parents: her mother, a schoolteacher and her father, a lawyer. Her interests in history stemmed at an early age, from the moment she cracked open a book in elementary and saw a map of the United States. Afterwards, she proclaimed herself a “history nerd”. At just 19 years old, she received her B.A. in History from Pomona College. During her senior year at Pomona, she encountered a difficult choice. Should she pursue law or continue her studies in history? Her parents, who really wanted her to attend law school, advised her to try it first in order to learn a trade. In addition, since she graduated so early and the cost of higher education was not much of an issue in the 70s, they offered to pay for her graduate studies in history if she realized that law was not suited for her. Upon weighing the costs and benefits, she eventually decided to attend law school at UCLA. 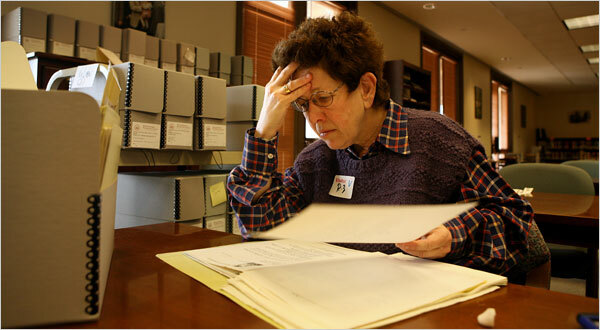 During her time at UCLA, she grew frustrated with the lack of historical context. For instance, one day her class discussed a case, such as Marbury v. Madison and then the next day would examine US v. Nixon, which reaffirmed that ruling. She noticed how the Marbury ruling occurred during one time period and the Nixon case was handed down in a completely different period. With this new revelation, she realized she much rather enjoyed the study of history, which focused on change and continuity over time. After working at a legal services corporation in Berkeley, she ultimately attended graduate school at Yale, where she received her PhD in American History. Dr. Kalman credited her faculty adviser at Yale for inspiring her to study American History, which she deemed the most logical choice having practiced law in the United States. She took the opportunity to combine her legal background and passion for history by ultimately studying American Legal History. According to Kalman, “It’s like you could take the kid out of law school, but you couldn’t take the law school out of the kid”. When I asked Dr. Kalman if she experienced any setbacks due to her gender, she reflected on how being a woman actually came as an advantage in graduate school. At the time, admissions highly encouraged for women to apply since there was a strong push for women to pursue higher education. Nonetheless, it was still a time when women were asked during interviews what kind of birth control they used. Apparently, by asking women about their methods of birth control, jobs and admissions were able to decide whether or not the woman was worth “investing” in. Once she finished her graduate studies, she was accepted at her dream job—a teaching position in UCSB’s History Department. She was one of three female professors in the department at the time, which at times made her feel uncomfortable. Nonetheless, she blocked out all the negativity and continued pursuing her passions. 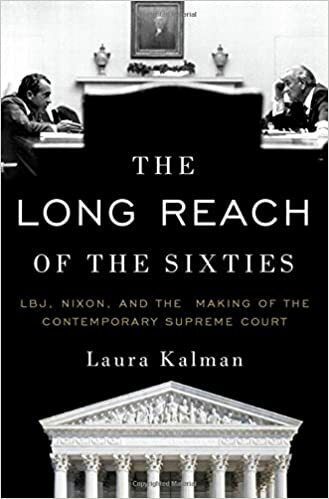 So far, Dr. Kalman has published six books and is currently working on several articles relating to the historiography of the Supreme Court. As a UCSB professor, she has enjoyed being able to share her knowledge, her perspectives, and incorporate her research in her teachings. Her main goal is to guide her students “in developing the best historical argument on the basis of the evidence”. Based on my experience in her class, she has successfully achieved her goal. Towards the end of the interview, Dr. Kalman gave a few words of advice for women wishing to pursue either graduate school or law school, like myself. She admitted that times have changed and the cost to pursue higher education has increased dramatically compared to when she applied. Based on this, she encourages women to first reflect on why they want to go into graduate or law school before applying. However, if it is something you truly want to pursue, she encourages women to just go for it! She also added that as someone who writes letters of recommendations for students applying to graduate school and law school, she feels it most discouraging when she notices how a student may have slacked off during their freshmen year and had limited opportunities to get their grades up. She advises everyone to keep your grades as high as you can and to ask for help when needed! In addition to her stellar credentials, Dr. Kalman has a heart of gold. UCSB has been blessed with such an inspiring professor who genuinely cares about her students and all their success. Catch her on campus with her iconic denim jacket, brown shoes with rainbow laces, and the biggest smile ever! Or... you can take one of her classes and become truly inspired.